“In Loving Memory of H.M. the King” (Give It to Get It #4) – Yannix(Thailand)Co.,Ltd. 22 October 2016, GRAND PALACE, Bangkok, Thailand. Yannix (Thailand) honored our beloved King. 300,000 people from across Thailand gathered at the main ground near the Grand Palace where the Royal funeral took place. With heavy hearts, Yannix did our best to comfort those in attendance at the main ground near the Grand Palace. 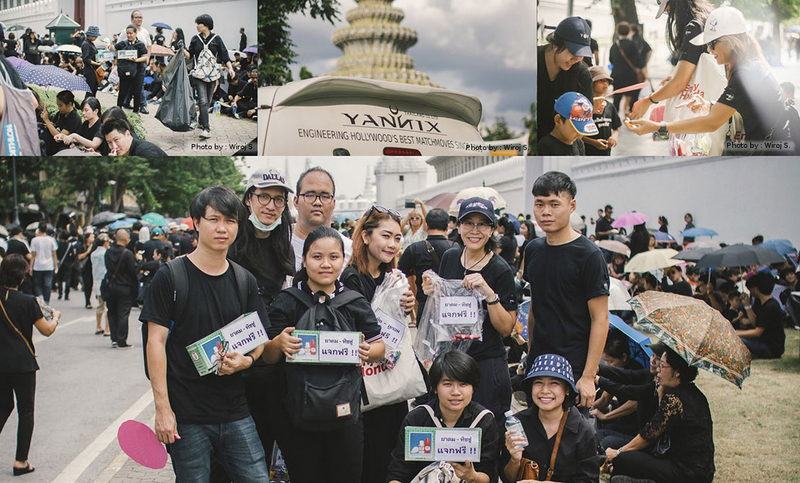 Yannix volunteers distributed fans, candy and tissues to help soothe those who braved the heat.